I have always wanted to do wedding photography at Allerton Castle in Yorkshire. I was so pleased when Angela and Sean booked me - they are a great couple, at one of my dream venues! Ceremony and reception was at the castle, so on arrival I went up to the stunning room where Angela was getting ready. Her dress was awesome - so beautiful and different, she looked amazing! Sean too looked great, with top hats and canes for the men! The amount of detail in this wedding was second to none. Angela had thought of everything.... From the colour scheme, to the owl carrying the rings, to the dress(es! ), and everything in between. 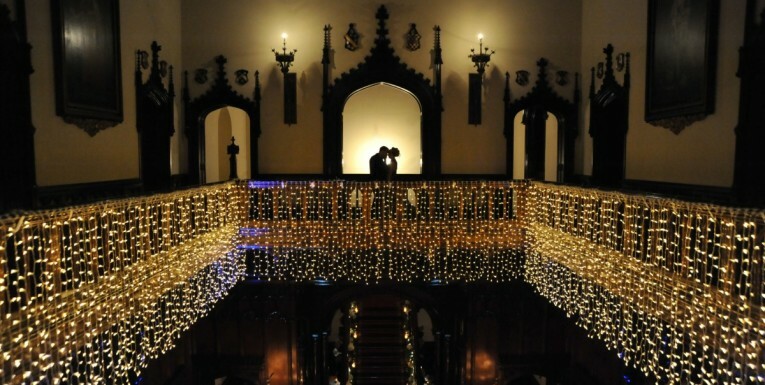 Weddings at Allerton Castle are magical and I hope I get lots more wedding photography at Allerton Castle! Nikki was our perfect choice: suitably laid back, yet well organised in the run-up to the wedding and on the day itself and able to cater to our every need, she really contributed significantly to the smooth running of the day and gave us wonderful photos with which to preserve the memories of our very happy day. Combining professionalism with a friendly and genuine demeanour, we felt how much she wanted to help make our wedding day special. We would recommend her to anyone.